Pride and Prejudice is a television show based off of the classic and well-renowned novel by Jane Austen. The show follows the famous romance of Elizabeth Bennet and Mr. Darcy in 19th-century England. The story is known for its humor, wit, and romantic tension caused by the love-hate relationship between the two main characters. The story begins with the main character, Elizabeth, hating the male lead, Mr. Darcy, because she believes him to have too much arrogance and pride, so she frequently makes comedic but scathing remarks about him. Elizabeth has four sisters, all of them unmarried, which in the time period was a serious issue because women frequently didn't work and could not support themselves. The mother of Elizabeth is an exaggerated character that is both loving and strict but primarily concerned with finding husbands for her children. Mr. Bingley and Mr. Darcy are new to the town and Elizabeth's mother hopes that she will be able to marry off her daughters. Mr. Bingley falls in love with Elizabeth's sister, Jane, immediately, but Mr. Darcy is stand-offish to all of the people in the town. He refuses to ask anyone to dance at their gathering, causing Elizabeth to see him as being rude. Mr. Darcy falls in love with Elizabeth and has to win her over because of his previously unwelcoming behavior. The story is filled with drama from the relationship between Elizabeth and Mr. Darcy but also from her other romantic entanglements. There is another man in Elizabeth's life, Mr. Collins, who becomes interested in Elizabeth before Mr. Darcy and proposes to her. She does not believe that she loves him, so she refuses his marriage proposal. This causes her issues later in the show, along with complications between her and Mr. Collin's family. Elizabeth does not care about money and marriage though, and she is portrayed as being more independent than the other women around her. Later in the text, Elizabeth begins to feel affection toward Mr. Darcy after he performs several selfish acts for her, and the two start to fall in love. Han Byul's case goes to court and the team finds themselves going up against the formidable Park Man Geun. But Hwa Young and Park Man Geun may prove to be too strong for the team to handle. The elusive, evil Park Man Geun is a lot closer than they think. Chief Moon and Kang Soo finally help shed more light on Panda and Han Byul's cases. Dong Chi manages to buy some time before he must be indicted, and tries his best to protect Song Ah Reum, the one key witness who can reveal everything. Dong Chi realizes that he killed Panda so many years ago, and finds himself in a dilemma of either turning himself in, or turning in his father. Thwarted at every turn, it finally falls upon Yeol Moo to get the confession she needs to formally charge Director Lee. The public welfare team is on the verge of disbandment, so Dong Chi and Yeol Moo are on the race to find more evidence and formally charge Moon Hee Man and Jung Chang Gi. An unlikely ally comes forward with more evidence to help their case. Dong Chi comes face to face against Chief Moon as he tries to pin the culprits behind Han Byul's kidnapping. Kang Soo learns about his past, and everything that happened the fateful day he was kidnapped is finally revealed. The race is on to find incriminating evidence against Joo Yoon Jang. Dong Chi is given a recording that connects Moon Hee Man to Kang Soo and Han Byul's case from years ago. Dong Chi's reassignment reveals the dangerous power game Chief Moon must play while using his team as his pawns. The case with Joo Yoon Jang finally leads to an arrest. Yeol Moo and Dong Chi discover more about Kang Soo's past, which is connected to Han Byul's death. The team must find a new way to tackle a murder case when all the suspects have been released from detention. Moon Hee Man tasks his team to investigate a corruption case that might have negative ramifications on his team. Dong Chi helps reopen Yeol Moo's brother's case, which raises more questions than answers. Lee Jang Won pays a price for his careless ways, and Yeol Moo and Dong Chi compile what they know of Han Byul's case to work together on solving it. Yeol Moo pursues a sexual harassment case that ended in suicide. After Lydia is married, she and Wickham come to Longbourn for a visit before joining Wickham's new regiment in the North. She is as silly as ever and very proud of her success in catching Wickham, even offering to get husbands for her sisters. But she accidentally lets slip that Darcy was at her wedding. Elizabeth writes to Mrs Gardiner for an explanation. Elizabeth visits Pemberley and encounters Mr. Darcy who treats her with kindness, and she begins to regret lost opportunities. Then Elizabeth learns that one of her younger sisters has taken up with the very soldier who misled her and the rest of her family about Mr. Darcy. And Jane and Mr. Bingley meet again. 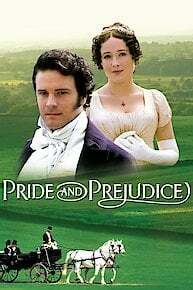 Elizabeth is shocked when Mr. Darcy proposes to her in a manner she considers insulting and unworthy of a gentleman. She refuses Mr. Darcy and questions him about the way that he misused Wickham and his undoubted role in the way that Mr. Bingley abandoned Jane. After learning the truth, Elizabeth is embarrassed to learn that she had been mislead about Darcy's character. After stunning her mother and Mr. Collins by declining his marriage proposal - a decision supported by her father - Elizabeth holds the disagreeable Mr. Darcy culpable for the heartbreak of Jane, who is devastated when the good-natured Mr. Bingley abruptly departs for London. But then a crisis involving youngest sister Lydia soon opens Elizabeth's eyes to the true nature of her relationship with Mr. Darcy. The encounters between Elizabeth and the handsome, and it would seem, snobbish, Mr. Darcy are frequent and spirited - yet far from encouraging. Still Elizabeth finds herself even less inclined to accept a marriage proposal from a distant cousin, Mr. Collins, who will in time inherit Longbourn. The arrival of wealthy bachelor Mr. Bingley, who takes up residence in a nearby mansion, causes a stir in the Bennet household. Mrs. Bennet believes there will be no shortage of suitors for her daughters amongst the man's sophisticated circle of London friends and the influx of young militia officers. Serene and beautiful Jane, seems poised to win Mr. Bingley's heart. Pride and Prejudice is currently available to watch free on DramaFever, Viki, Tubi TV and stream on BBC. You can also stream, download, buy, rent Pride and Prejudice on demand at Amazon Prime, Amazon, Hulu, Vudu, Google Play, iTunes online.